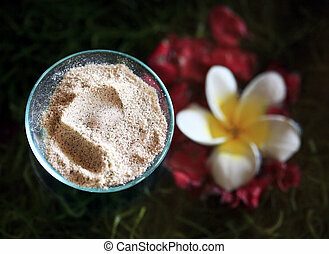 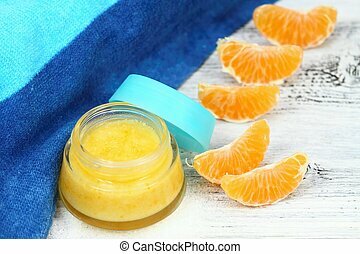 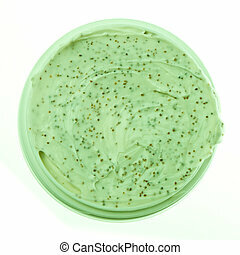 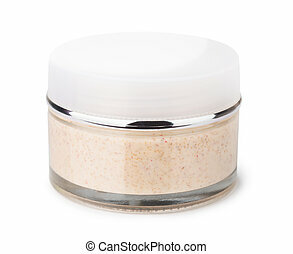 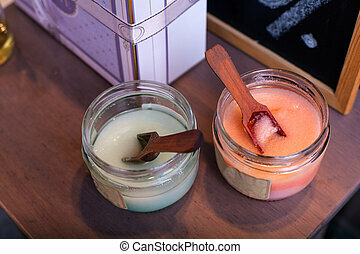 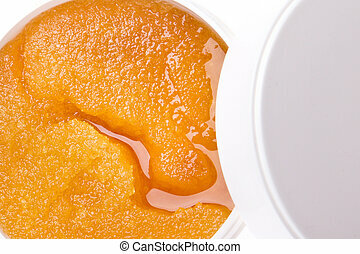 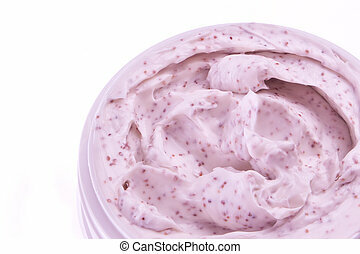 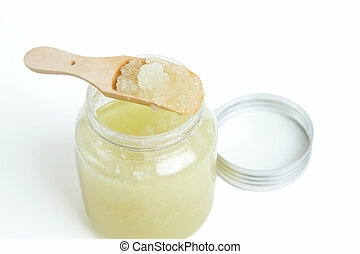 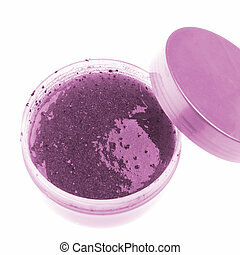 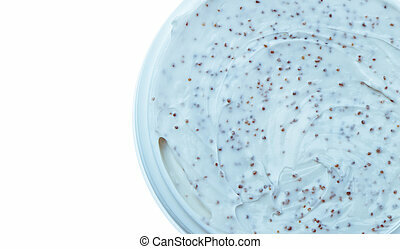 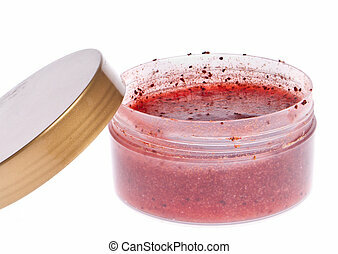 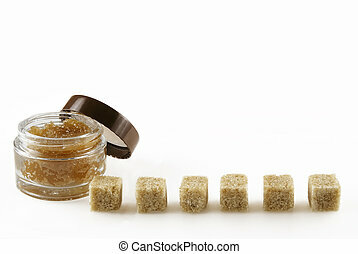 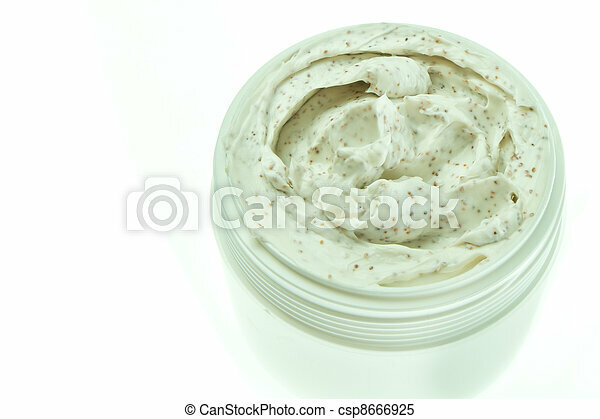 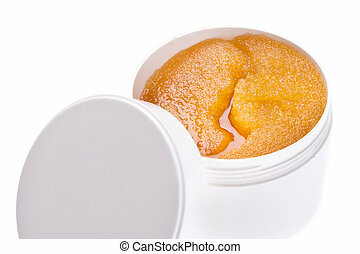 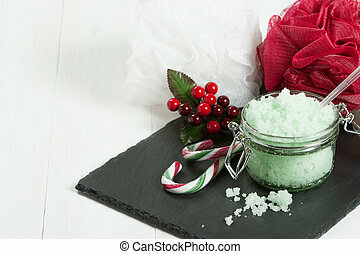 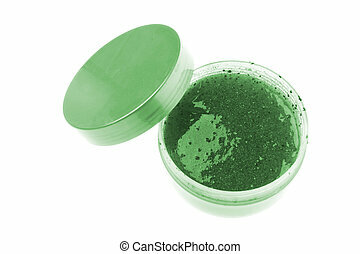 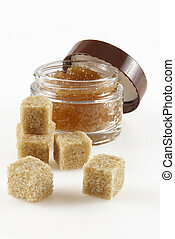 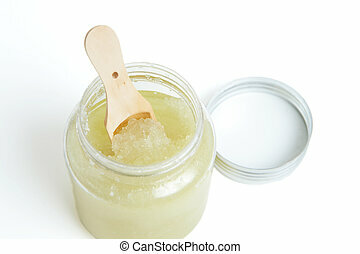 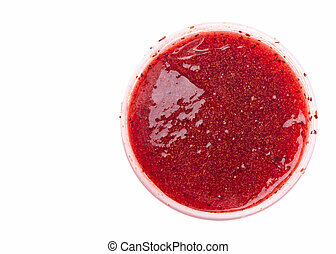 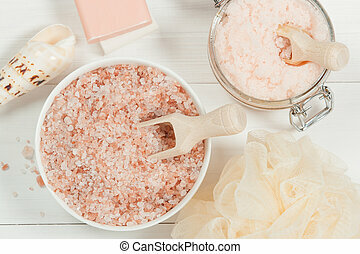 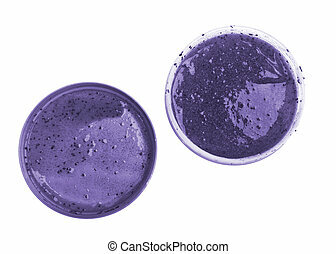 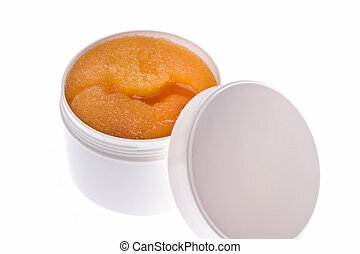 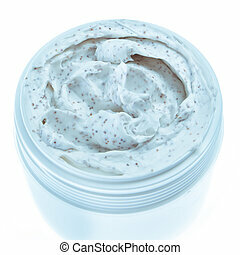 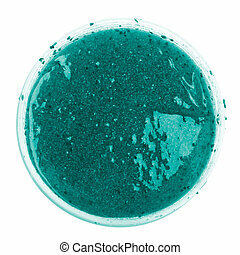 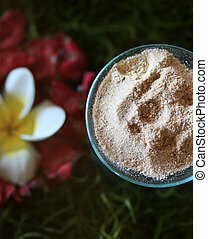 Body scrub isolated on white background. 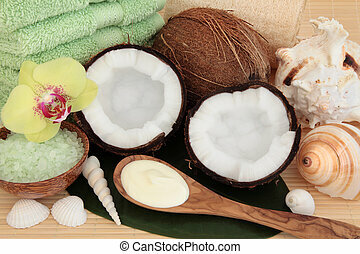 Coconut spa products with body moisturiser, green bath salts, exfoliating scrub, towels and sea shells over bamboo and leaf background. 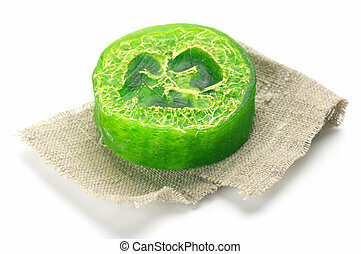 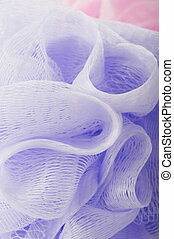 Natural handmade soap with piece of linen isolated on white background.